InciNotes™, is an exclusive and the first of its kind ICS 201 documentation application for the iPad™. InciNotes™ makes incident documentation simple and easy. 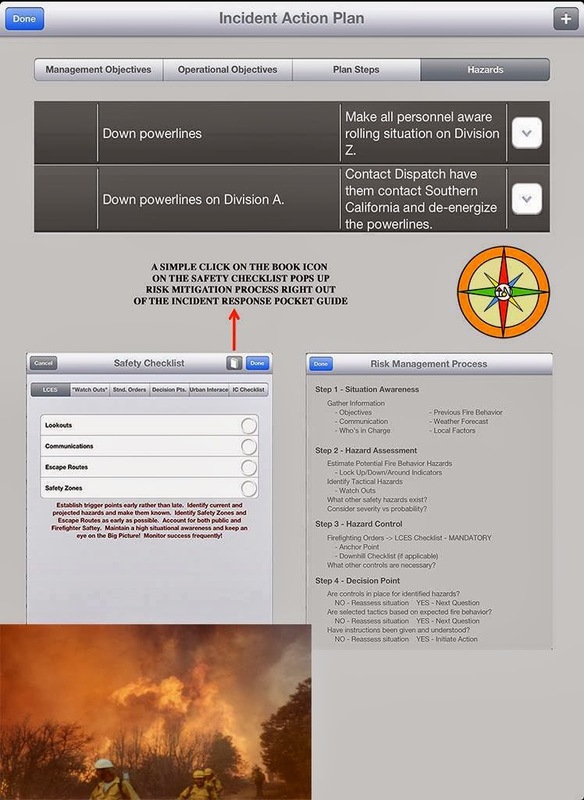 InciNotes™ follows the Standard Operating Procedures for Incident Commanders in Region 5 of the United States Forest Service, National Wild Fire Coordinating Group and "Red Book" - National Interagency Fire Center. Meets requirements for Incident Command System 201 and 214 documentation (NIMS) All Risk Incidents. 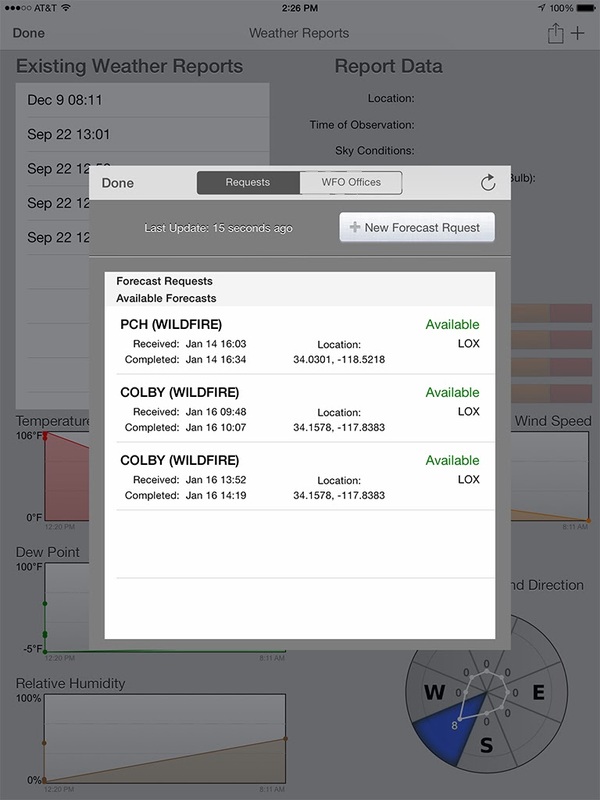 Features include: Incident Size Up, Resource Status Tracking, Incident Events (ICS 214 Unit Log), All Safety Considerations, Complete Complexity Analysis, Incident Objectives (Management & Operational), Primary and Contingency Planning, Hazard Mitigation, Tracking Weather Trends, Immediate On The Spot Weather Forecast (National Weather Service), Incident Map Sketching Abilities, Incident Command Structure, Frequency Management, Real Time Reports, Incident Transfer From One iPad To Another iPad. 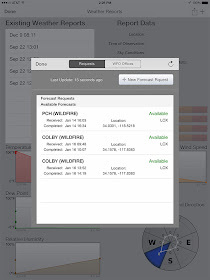 Incident Weather reports screen allows the Incident Commander to click on the screen and it will find the closet National Weather Service office that can provide the incident a spot weather forecast. The Incident Commander can with one click send his or her incident weather readings to the National Weather Service to obtain a spot weather forecast for the incident. The spot weather forecast can be retrieved right from InciNotes.